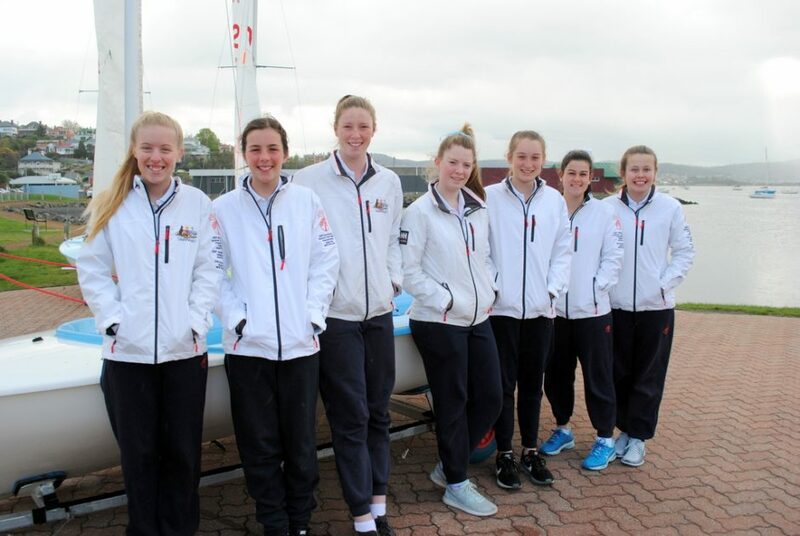 Teams of talented teenage sailors from two of Hobart’s leading private schools, Friends and Fahan, are flying to New Zealand this week to prepare for the Australia versus New Zealand 2018 Interdominion Schools Team Sailing Championship. After training this coming weekend they will compete in four days of intense team racing, sailing two-crew 420 dinghies, against New Zealand’s leading school sailing teams at Sandpit Yacht Club, Algies Bay, north of Auckland, starting on Monday, 1 October. Friends School finished second in the Open division of the Australian Schools Team Racing Championship last July while Fahan won the female division. The Friends team contesting the Open division in NZ comprises Daniel Maree, Ethan Galbraith, Isabella Declerck, WiIliam Sargent, Finn Buchanan, Brendan Crisp and Hugo Hamilton. Sailing for Fahan in the all-girls team are Meg Goodfellow, Anabelle Zeeman, Chloe Abel, Abbey Calvert, Laura Cooper, Amy Potter and Emily Nicholson. Friends will be joined by teams from Westminster College in Adelaide and Brighton Grammar while Fahan and Sydney’s Ascham School will contest the all-girls division. 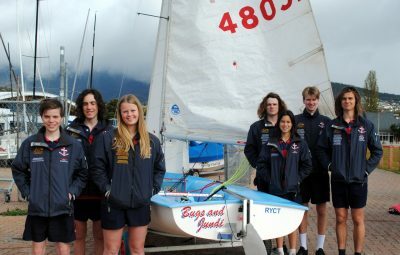 The boys and girls in both Tasmanian teams are members of either the Royal Yacht Club of Tasmania or Sandy Bay Sailing Club and are all highly experienced and successful off-the-beach sailors. Several have shown skill as crewing and helming in SB20 sports boats and are also members of the Derwent Sailing Squadron. In fact, most contested Australian and World Championships in a range of off-the-beach dinghy and sportsboat classes. The two Tasmanian teams had their final local training sail last Sunday, sailing 420 dinghies, the class to be used in the Interdominion championship.